Tis the season to go shopping, and Janeite family and friends always need suggestions to fill the reticules, stockings, and gifts under the tree for those whose special interest is everything Austen. I have several categories to select from – and I would happily be the recipient of any of these fabulous items! 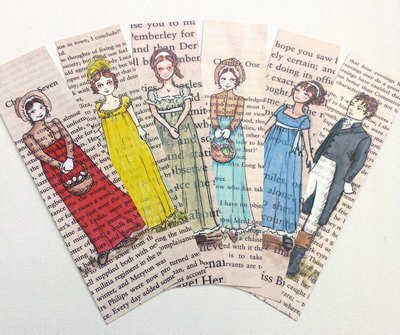 Created by London painter Jess Purser, this pack of six bookmarks, features a print of one of her Jane Austen, Pride and Prejudice, paintings on vintage book pages. There are the five Bennet sisters and Mr. Darcy too. Can you pick out which sister is which? Professionally printed onto silky smooth card stock at 350gsm weight they each measure 1.6″ (4cm) in width by 6.3″ (16cm) in height. Your bookmarks will come packaged in a cello sleeve so they stay nice and safe for their journey to you. Visit Jess at her Etsy Shop, CastleOnTheHill to order. 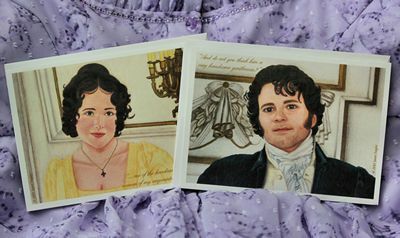 From the very talented artist Janet Taylor, these beautiful notecards capture a unique moment in the 1995 miniseries, Pride and Prejudice. Select from a variety of sizes and images. Visit Janet at her website J.T. Originals to order. Over the last 200 years, the novels of Jane Austen have been loved and celebrated across a diverse international readership. As a result, there is a bottomless appetite for detail about the woman behind the writing. Jane Austen traces her life and times; her relationships with family and friends; the attitudes and customs of the time that shaped her and were in turn shaped by her work; and the places where she lived, worked and set her novels, from rural Hampshire to fashionable Bath Spa. Chapters on each of her novels run throughout the book and place them in the context of her life. For such a renowned novelist, there is remarkably little direct material available, but this volume draws on archives for a truly insightful view. Jane Austen: Her Life, Her Times, Her Novels, is currently available in the UK and in the US in April, but you can order it through Book Depository with free international shipping! 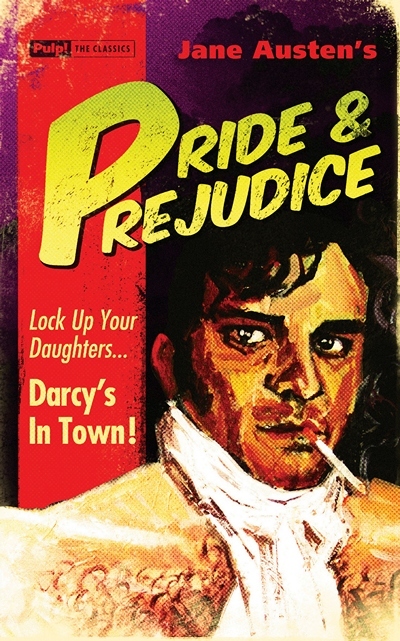 In this celebratory year of the bicentenary publication of Pride and Prejudice, there have been oodles of new covers of our cherished classic, but none reaches the unique irony, nor embraces the pop-culture frenzy that we have witnessed this year better than the Pulp! The Classics cover illustrated by David Mann. This series is a new imprint from Oldcastle Books that “gives the nation’s favourite classic novels original retro covers in a pulp fiction style – with a dash of wry humour. Redesigned and reset, using the original unabridged text from some of the best writers that have ever lived, Pulp! The Classics promises readers their favourite books with stunning and highly original jackets.” No kidding. Any Janeite will recognize actor Colin Firth as Mr. Darcy on the cover! Ha! Caricatured for extravagance, vanity, glamorous celebrity and, all too often, embroiled in scandal and gossip, 18th-century London’s fashionable society had a well-deserved reputation for frivolity. But to be fashionable in 1700s London meant more than simply being well dressed. 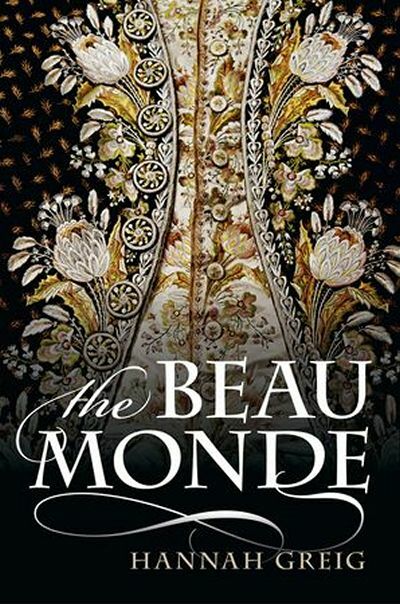 Fashion denoted membership of a new type of society – the beau monde, a world where status was no longer determined by coronets and countryseats alone but by the more nebulous qualification of metropolitan ‘fashion’. Conspicuous consumption and display were crucial; the right address, the right dinner guests, the right possessions, the right jewels, the right seat at the opera. The Beau Monde leads us on a tour of this exciting new world, from court and parliament to London’s parks, pleasure grounds, and private homes. From brash displays of diamond jewelry to the subtle complexities of political intrigue, we see how membership of the new elite was won, maintained – and sometimes lost. On the way, we meet a rich and colorful cast of characters, from the newly ennobled peer learning the ropes and the imposter trying to gain entry by means of clever fakery, to the exile banned for sexual indiscretion. Above all, as the story unfolds, we learn that being a Fashionable was about far more than simply being ‘modish’. By the end of the century, it had become nothing less than the key to power and exclusivity in a changed world. This new Regency-era nonfiction book topped my wish list at number one. I could not wait. I bought the digital edition. Buy the print edition if you want to be able to see the illustrations. Take a peek inside this must read for Regency-era authors, history lovers and Jane Austen fans at Amazon.com. This book has nothing what-so-ever to do with Jane Austen, the Georgian or Regency eras, but what-the-heck, we love this period drama series and many other Janeites do too! Visit Masterpiece Classic PBS for all the latest on the new season, and by all means, please buy the book at St. Martin’s Press. 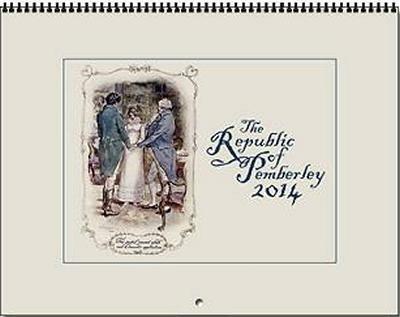 My Austen year would not be complete without my calendar from the good folks at The Republic of Pemberley. 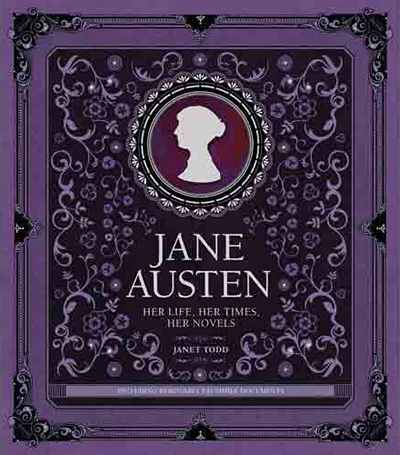 This year they have two to choose from: the classic Jane Austen 2014 Rancor Vertical Wall Calendar and Jane Austen Mansfield Park Calendar 2014 in honor of the bicentenary of the publication. It is very hard to decide if you want to chortle over Austen’s witty quotes from her letters or spend the year in a love triangle between Fanny Price, Mary Crawford and Edmund Bertram. Decisions! I first discovered this adorable Mr. Darcy ornament during my visit to The British Library, when harkened from across the large gift shop floor I heard a cry of joy from fellow traveler, and Austenesque author Nancy Kelley, “MR. DARCY”. Tallyho! It was only my second hour in England, but it was the first thing I bought. I was delighted to find the matching Elizabeth at Winchester Cathedral gift shop, AND a Mr. Knightley and Emma at the Roman Bath’s gift shop. They all now proudly hang in pride of place, from my Jane Austen book case of course. Get your very own Mr. Darcy and Lizzy from The Jane Austen Centre online gift shop, though we wish they would spell Elizabeth’s name as Austen intended: Lizzy not Lizzie. Happy Holidays to all, and may all your Austen wishes come true. Great picks! I definitely need to get those adorable ornaments. 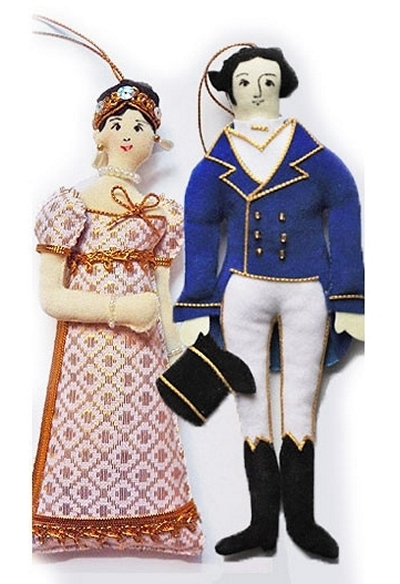 Went immediately to the web site for the Jane Austen Centre Gift Shop and sorry to report the dolls are SOLD OUT. Bummer Nikki. They were available when I researched the post. So sorry. Power of Austenprose.com? I would check back after the holidays. They may get another shipment. I saw them in several gifts in England while I was there last fall. Very popular item. I would frame that Pulp cover! I think I’d like one of everything. Well, have you been naughty or nice Mary? Maybe Santa will be generous! Why am I seeing “Jane Austen Her Life Her Times Her Novels” showing the author as Deirdre Le Faye? I am looking at the Ebay offering with the identical front cover as the Janet Todd cover? I searched eBay and found the book you describe listed with the same title and the author as Le Faye. The cover is different. This is a pirated edition of this book. Please do not buy it. Terrible that someone would do this to Janet Todd and Deirdre Le Faye. Some fab suggestions! I picked up the Pulp classics copy of P&P when I was in bath for the JA Festival and I have some of Janet’s lovely note cards, but the other things were great to hear about. 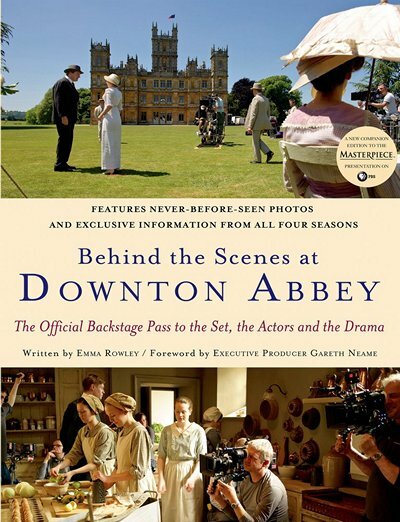 I love the inclusion of the Downton Abbey book too! Have you heard of the book “Among the Janeites”? It looks like a great book and good choice for gifts as well. Yes I have Joy, and I reviewed it right here on Austenprose. One of my favorites this year. Ohhhhhh my! That pulp novel’s cover! Where’s my swooning couch? Is there likely to be anything like the Pride and Prejudice bicentennial for Mansfield Park? I doubt if it has as many spinoffs, but I think I’ll try using it for twitter quotes. Susan, even though I adore MP (which most readers do not), I do not have any plans to do a MP Bicentenary. That might change. Well, I’ll use it for daily twitter quotes (challenging the reader for the contexts) from @sueannbowling the second week of each month, anyway. It, Pride and Prejudice, and Persuasion are my favorites. What a wonderful list! I am going to print it out and send it to Santa as my wish list!